"Hey guys, I found Sophia!" Well, it looks like we're going to have to wait until February for more Walking Dead. Shane went a bit off his rocker this week, but also solved the zombies-in-the-barn problem pretty handily. We'll be seeing continuing conflict between Rick and Shane and their varying approaches to surviving. Shane does what it takes to survive, no matter the cost. Rick, on the other hand, is a survivor but won't sacrifice his humanity or goodness to do so. Those different approaches may tear the group apart in the upcoming episodes. Hershel was confronted with the harsh reality that the walkers aren't just sick, they're the walking dead. He's been living in his little secure bubble at the farm, believing that things aren't all that bad in the outside world and that eventually, things will go back to normal. After Shane's demonstration on the tethered walker, he basically just collapsed and gave up--he made no effort to stop what came next. Shane crushed Hershel's beliefs and hope for the future, and it doesn't look like the old veterinarian will be able to fully recover from that. From the previews of the upcoming episodes, it looks like Hershel bugs out for the nearest bar in an effort to commit suicide by zombie. And of course, they found Sophia. 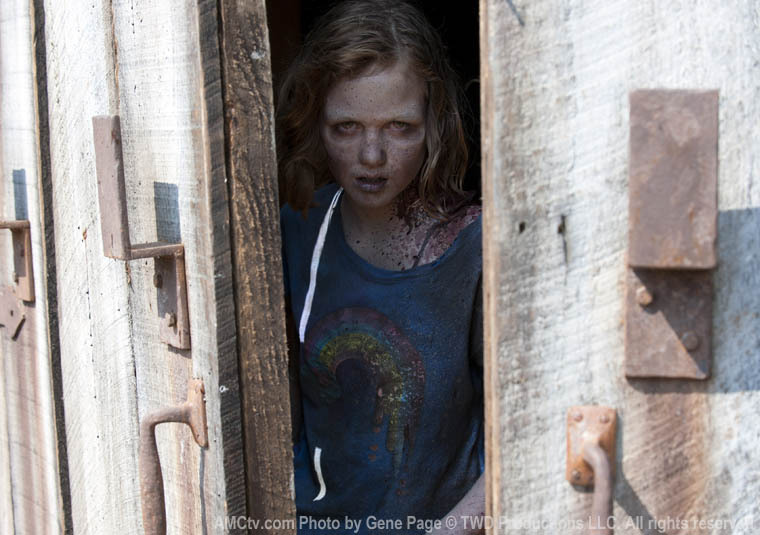 Not sure why Hershel didn't disclose her discovery--it was in his interest (little zombie girl showed up the day after you got here, now you can move along!). He let the group go out and risk their lives on a daily basis to look for her, when they had zombie Sophia in the barn the whole time. One thing that stood out to me was when Shane handed Carl the revolver. In a TEOTWAWKI situation, how old do you think people should be before they are armed? Probably better decided on an individual basis--whether they can properly and safely handle a firearm. In a similar situation, would you arm Carl? Any other reactions? Are they working on a Daryl/Sophia's mom romance? Is Shane the baby daddy? Is Rick cut out to survive in the zombie apocalypse? If the group splits, who would go with Rick and who would go with Shane? Let us know in the comments section!